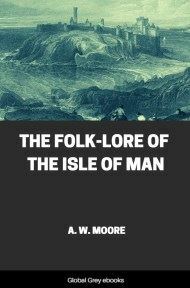 Chapters include: Myths Connected With The Legendary History Of The Isle Of Man; Hagiological And Mytho-Historical Legends; Fairies And Familiar Spirits; Hobgoblins, Monsters, Giants, Mermaids, Apparitions, Etc; Magic, Witchcraft, Etc; Customs And Superstitions Connected With The Seasons; Superstitions Connected With The Sun, Animals, Trees, Plants, Sacred Edifices, Etc; Customs And Superstitions Connected With Birth, Marriage, And Death; Customs Formerly Enforced By Law; and, Proverbs And Sayings. THE reliable history of a country may be said to date from the period when its written records begin. 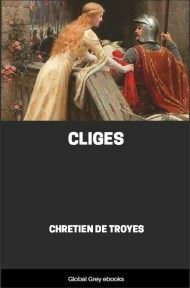 Before that time, there is an epoch during which the place of history is usually supplied by tales of imaginary personages, whose doings are calculated to gratify the national pride. 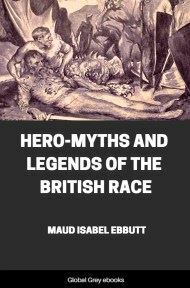 An unfailing characteristic of such an epoch is the personification of the race in an eponym, who is its supposed ancestor and founder. Thus, in the Isle of Man, we have the famous magician and navigator Manannan Mac Lir in this capacity, and there are various other mythical personages connected with the Island, all of whom appear in ancient Irish tales, though nothing can be discovered with regard to them from purely native sources of early date. In fact, the Isle of Man was so intimately associated with Ireland till the coming of the Northmen, that it is not likely that it would have any early myths distinct from those in Ireland. It is, therefore, to the early Irish legends that we have to refer for any mention of the Isle of Man, and they tell us that it was considered to be a sort of Fairy-land to which the Irish gods and heroes occasionally resorted. In the legends of the heroic period in Ireland, we find the deities and heroes called Lug, Cúchulainn, Cúroi, and Cúlann connected with Man as well as Manannan; while, in the later or Ossianic Cycle of legends, we have Finn and his son Oisin, who, in the only really early native legend, are made to associate with the Scandinavian Oree. But of all these deities, the most important in Man is Manannan, about whom many tales have accumulated. To understand his place in the Legendary History of Ireland we must bear in mind that, according to the Leabhar Gabhala, or Book of Invasions (a compilation of the late 10th or early 11th century), there were five conquests of Ireland, the first by Parthol or Bartholemew, and his followers; the second by Nemed and his followers; the third by the Firbolg; the fourth by the Tuatha Dé Danann; the fifth by the Milesians. It is with the fourth body of invaders, the Tuatha Dé Danann, who conquered the Firbolg, that Manannan is connected. In the legendary and romantic literature of Ireland the Tuatha Dé Danann are celebrated as magicians. By the Milesians and their descendants they were regarded as belonging to the spirit world, and, in the imagination of the people, they became Fairies, who were supposed to lie in splendid palaces in the interior of green hills. There can be little doubt that the Tuatha Dé Danann represent the Olympus of the ancient Irish, that hierarchy of divine beings which the Celts possessed as well as other Aryan people. In this hierarchy Manannan occupied the position of god of the sea. But as early as the 9th and 10th centuries of our era he had suffered the change known as euhemerisation, from an immortal he had become a mortal. It is thus we meet him in one of the oldest monuments of Irish literature, the so-called glossary of Cormac, King-bishop of Cashel, killed in 903:--"Manannan Mac Lir, a celebrated merchant who was in the Isle of Man. He was the best pilot that was in the west of Europe. He used to know, by studying the heavens, the period which would be the fine weather and the bad weather, and when each of these two times would change. Inde Scoti et Brittones eum deum vocaverunt maris, et inde filium maris esse dixerunt, i.e., Maclir, 'son of sea.' Et de nomine Manannan the Isle of Man dictus est." 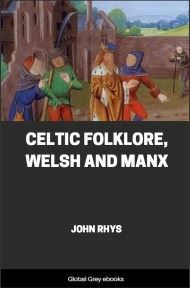 This theory of the Isle of Man being named after Manannan, when so called, has been shown to be highly improbable by Professor Rhys, who thinks that "Manannan gave his original name corresponding to Mann and its congeners to the Island, making it Manavia Insula. . . . for which we have in Welsh and Irish respectively Manaw and Manann. Then from these names of the Island the god derives his in its attested forms of Manawydan and Manannan, which would seem to mark an epoch when he had become famous in connection with the Isle of Man." To Cormac's account, O'Donovan has added the following note:--"He was the son of Allot, one of the Tuatha Dé Danann chieftains. He was otherwise called Orbsen, whence Loch Orbsen, now Lough Corrib. He is still vividly remembered in the mountainous district of Derry and Donegal, and is said to have an enchanted castle in Lough Foyle. According to the traditions in the Isle of Man and the Eastern counties of Leinster, this first man of Man rolled on three legs like a wheel through the mist." We can follow the process of euhemerisation in later texts. Thus, according to the Book of Fermoy, a MS. of the 14th to the 15th century, "he was a pagan, a lawgiver among the Tuatha Dé Danann, and a necromancer possessed of power to envelope himself and others in a mist, so that they could not be seen by their enemies." 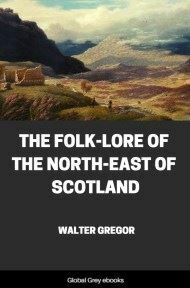 The Book of Lecan (14th century) mentions a Manannan whom it calls "son of Athgus, King of Manain (Man) and the islands of the Galls" (the Western Isles), who "came with a great fleet to pillage and devastate the Ultonians, to avenge the children of Uisnech," These children of Uisnech, when compelled to fly "from Erinn," had sailed eastwards. and conquered "what was from the Isle of Man northwards of Albain," and after having killed Gnathal, King of the country, were induced to return to Ireland under a pledge of safety from Conchobar, King of Ulster. The sons of Gnathal, who also sought the protection of Conchobar, "killed the sons of Uisnech," in consequence of which Gaiar, the grandson of Uisnech, banished Conchobar to the islands of Orc and Cat (the Orkneys and Caithness), and Gaiar having reigned over Ulster for a year, went into Scotland with Manannan, and died there. The 15th century version of a story called "The exile of the children of Uisnech" tells us that Gaiar was assisted against Conchobar by Manannan, who was the fourth of his name and dynasty who had ruled in Man.